Slenderman, from the greatest creepy pasta in history, will once again terror you in another installment from the great Slender game series. There is no other Slender game as crazy as this one, with Slenderman chasing you in a nightmare. Beware! Are you ready to be scared? Try to escape from the killer called Slenderman. Don't look into his eyes if you don't wanna die! Enter a lonely forest and collect as many weapons as you can in order to defend yourself. Good luck! Slenderman is waiting for you in a city full of zombies. They are everywhere! Use your sniper skills and try to kill all zombies, but beware of Slenderman, who is lurking around. He won't be as easy to kill... Just like in previous games, grab all eight pages and find a clue to kill slender man. In this game, finally, he can really be killed! In this scary game you'll have to escape from a killer named Slender. Don't stare at him if you want to surivive! Try to avoid him and collect the documents that tell his story. Are you ready to scream? In this scary game you'll have to escape from a killer named Slender running through a forest. Don't stare at him if you want to surivive! Try to avoid him and collect the documents that tell his story. Are you ready to scream? Enjoy this freezing winter edition! In this scary game you'll have to escape from a killer named Slender. Don't stare at him if you want to surivive! Try to avoid him and collect the documents that tell his story. Are you ready to scream? Are you ready to survive a zombie apocalypse? Show no mercy, collect as much ammo and as many health packs as you can and try to escape this place safe and sound. Get ready to scream! Enjoy this terrific game! Try to escape from a mysterious forest while avoiding the killer, Slender. Don't look into his eyes! Are you ready to scream? Choose your character and enjoy this action-packed first-person game that will remind you of Minecraft. 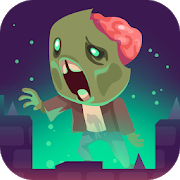 Collect resources, create new weapons and survive the zombie attacks. Get ready for some action!